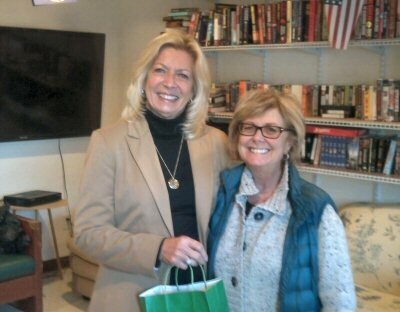 On Thursday, November 20, Rocky Point Rotary Club member Ann Marie Roberts presented food gift certificates to Joann Massimo, Program Director of Suffolk County Veterans at the Veterans Place in Yaphank. There was a overwhelming need to provide more then one hundred Veteran's families food for this Thanksgiving Holiday. May God bless them!